Channel your inner 60s illustrator with this cartoon-like character. Do we need to ‘outline’ to you just how cool this pop artist is? WHAAM! 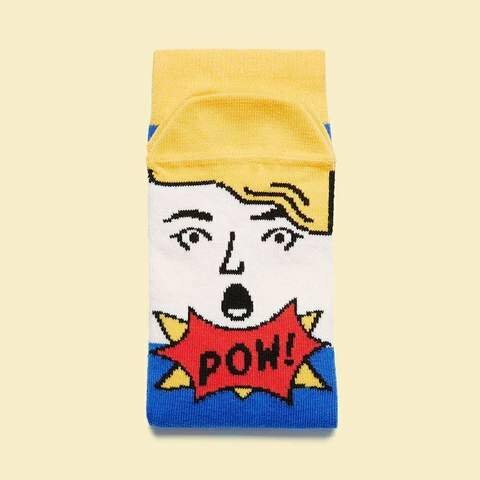 These crazy socks have just made an impact in your sock-drawer gallery. Wear them to galleries and exhibitions to turn heads and surprise people with a FLASH of vivid colour. 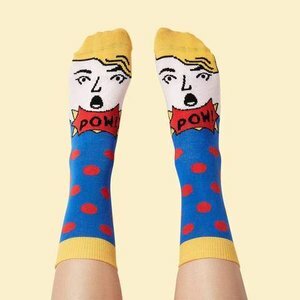 This funny design will delight comic book fans and kitsch art lovers, so treat your friend to a pair of funky socks for their birthday. BANG! That’s the sound of your pal bursting with delight!